Most of the content you read on the Internet lacks in originality. The ideas and concepts you read about have been already expressed elsewhere. It may be that you are reading just another copy in a different language and presentation. But such a content fails to generate the exciting that is so essential to driving customers to the businesses. Marketers can meet their goals to some extent but not beyond that from routine content pieces. However, clever marketers explore the people’s craving for controversies. In our daily life, we like to hear and read something different that stands out from the routine. 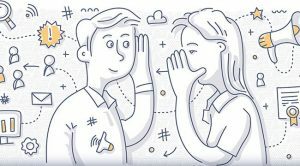 Gossiping has been a part of human nature for ages and even many magazines thrive on writing something unheard of about the celebrities. People lap up such stories, though many of them are found untrue later on some investigation. This human nature of seeking unique and exciting things of life can be a tool to explore when it comes to driving the customers. Controversial content is therefore steadily making inroads into content marketing plans as a way to stand out and get the desired results. Content marketing is now a huge part of marketing schemes. According to a study, 90% of B2B companies are using content as part of their digital strategies. But creating a controversial content can help draw the attention of many more consumers to your business. Do not mistake controversial content for something negative or false content. Controversial content is about creating legitimately useful and interesting topics that engage target customers. A unique quality of this type of content is that it compels the customers to take notice. This is because of the content targets people emotionally and makes them happy, angry, inspired or awe-struck. Such an excitement generated by the content makes the users share it with their peers for discussion on the topic. According to a Buffer study, the blog posts with emotional content evoking positive feelings such as trust and anticipation get the most views. So, you need to involve the emotions and evoke them to create controversial content. Your controversial topic and content will generate curiosity, which draws many thousands of views instantly. A surprising post has the potential of catapulting your business to a new height in a matter of few days as people start talking about the post. If the content is successful in creating a buzz, increasing number of people will link to the post and share it with their peers. Many of them may a build community around the content to discuss the topic further. People like to share a content that has lately created some controversy. A routine content has a very little sharing value as it fails to create a buzz. You surely want many people commenting on your blog post. But that happens only when the topic is unique, interesting and has some controversial material. The more contentious the content is, the more people will come to the post to comment and express their views. They will write comments to support or oppose the view. Ask these questions before finalizing a content to generate a buzz. 1. Has the content some shock value? 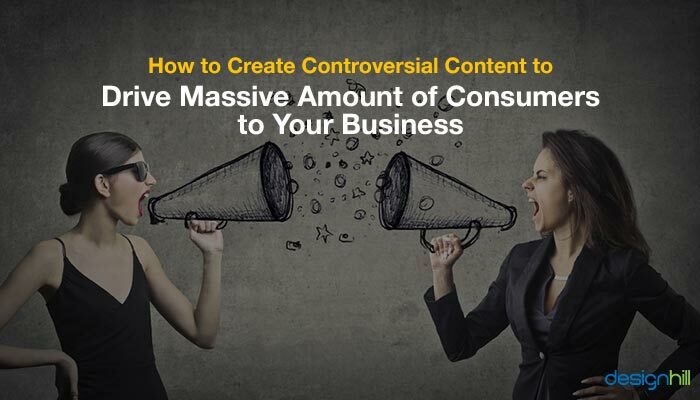 To create a controversial piece of content, find out if can shock your target audience or not. The topic must be interesting and unique that stands out from the crowd. 2. Is it telling a story? People like to be told stories. They do not want to be treated in a boring fashion when you educate them on a topic. So, add details, perspective, and insight to the topic of your discussion. Try to create fresh ideas for your readers and users. 3. Are you giving them the other side of the story? People want to read a story that covers both pros and cons, and the other side of the story. They crave for the perspective. Give them a contrary viewpoint so that your story appears authentic. 4. Have you added a personal viewpoint? Your topic of discussion has all the aspects covered. But the readers still may not be able to draw a conclusion of their own after reading the story. So, by adding your personal opinion about the controversial issue, you help the readers to conclude. The writer of a story is generally taken as an expert on that issue. So, your personal point of view will help them draw a conclusion. This helps in getting more clients from the story. Do not forget to add visuals to the topic of discussion. Visuals such as images, videos, and infographics have proved their worth in drawing the attention and building a brand image. Pay attention especially to infographics. Infographics can make a complex issue understand on the go. People can grasp a controversial and complex topic of discussion to understand the crux of the matter. They can synthesize otherwise complex ideas in a simple and precise way. Do not create a content that appears to be one-sided, rude and combative. People do not like to read something that is crude and is belittling others. They would appreciate content that respects the intelligence of the readers or viewers. So, create a well-informed content that has a tone of an intellectual. To conclude, if you have a blog or a video that can stir the emotions of people, it becomes controversial and its chances of increasing number of people sharing it go higher. Your business will benefit from such controversial but useful content by people focusing more on your brand. Next Next post: How to Design an Iconic and Memorable Band Logo?